Cinedelphia has been granted a short bookshelf’s worth of copies of Julia Leigh’s highly acclaimed debut novel The Hunter, the film adaptation of which is currently playing at the Ritz East (we highly recommend you see it). To enter, you must “Like” Cinedelphia’s Facebook page or “Follow” us on Twitter and then e-mail contests@cinedelphia.com telling us you’ve done so, be sure to include your mailing address. Easy peasy. Already a hit in Australia, Leigh’s flawed but exciting debut describes the deadly search for the fabled, and perhaps extinct, Tasmanian tiger, aka the thylacine. A mysterious man who is identified to the reader only as M assumes the identity of “Martin David, naturalist” and arrives at the filthy, disheveled house of depressed Lucy Armstrong, whose husband, Jarrah, a naturalist and bioethics expert, recently disappeared on the plateau. Lucy’s home becomes the base for M’s treks into the wilderness, ostensibly to study the habits of Tasmanian devils. In fact, and in secret, M works for a biotech company. 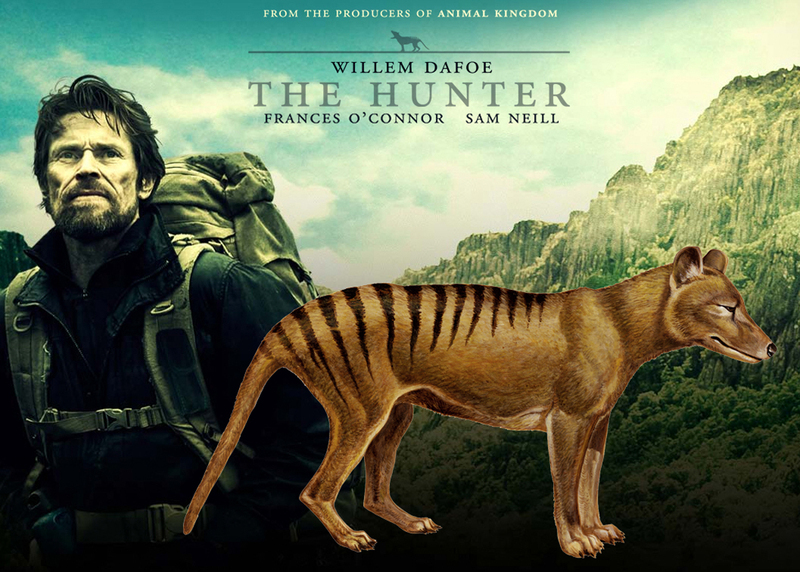 His mission: to secure genetic material from what may be the world’s last remaining thylacine, reportedly sighted on the plateau. M must hide his true occupation from Lucy and her lonely children, Sass and Bike, as well as from the National Parks researchers and the suspicious local townspeople. Sydney-based Leigh shifts ably between M’s laconic narration and third-person storytelling. With the exception of a superfluous (and clumsily handled) romantic subplot, the novel’s events are compelling, drawing the reader deep into M’s inner jungle. Leigh is most effective when writing in M’s voice, exploring his relationship to the wilderness, his tracking expertise and his ability “to think like a true and worthy predator.” Fans of Peter Matthiessen will find Leigh darker and sometimes less ambitious, but effective in similar ways, as M’s obsession with the hunt drives this moody work by a gifted new author to its chilling conclusion.